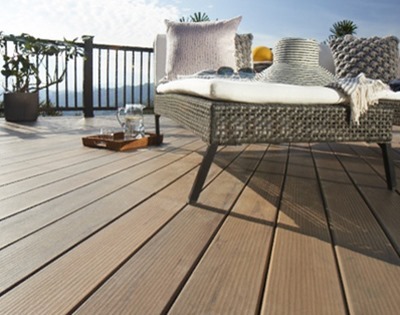 Decking Offer: 25% Off TimberTech Terrain+ Silver Maple Boards! Save over 25% on TimberTech's super low-maintenance Terrain+ Silver Maple capped composite deck boards boards this month! The RRP for this product is £79.31 per m² (+VAT), but if you order now, you can get your decking boards for just £59.00 per m² (+VAT) - that's a saving of £20.31 per square metre! To order your decking at this special sale price, please call TimberTech on 029 2080 3756.